砂田薫, 田中義敏, “社会起業家への知財マネジメント調査―事業型NPO「マドレボニータ」の事例研究―”, 日本感性工学会, Journal of Japan Society of Kansei Engineering Vol.10 No.3, pp.305-314, 2011. 中井豊, 田中義敏, “中国内陸部のソフトウェア企業の発展に必要な経営者の意識について―北京、大連の因子分析との比較研究―”, 日本感性工学会, Journal of Japan Society of Kansei Engineering Vol.10 No.2, pp.101-107, 2011. 安彦元, 田中義敏, “企業間における特許請求の範囲の記載の定量的差異－電気機器メーカーの事例研究”, 技術と経済, No. 511, pp. 46-52, 2009.9. 田中義敏, 野間口一由, “特許流通アドバイザーに求められる”マインド及び行動のスキル”に関する研究”, The Journal of Science Policy and Research Management, Vol. 24, No. 1, pp. 112-121, 2009.8. 安彦元, 田中義敏, 中川 秀敏, “特許の有用性に影響を及ぼす特許明細書中の定量的パラメータに関する統計的検討”, 日本感性工学会論文誌, Journal of Japan Society of Kansei Engineering Vol.8, No. 4, pp. 1161-1169, 2009.4. 樋口壮人, 田中義敏, “日本ベトナム間における技術移転・産学連携に関する文化的背景からの考察”, 日本感性工学会論文誌, Vol.8, No. 4, pp. 1129-1135, 2009.4. 安彦元, 田中義敏・中川秀敏, “技術的範囲の広さに対応した特許請求の範囲の数値化方法の提案”, 日本知財学会誌, Vol. 5, No. 1, pp. 67-80, 2008.8. 樋口壮人, 田中義敏, “日本・ベトナム間における技術移転・産学連携に対する認識の相違に関する研究”, 技術と経済, No. 496, pp. 46-51, 2008.5. 安彦元, 田中義敏, 中川秀敏, “定量的指標による特許の技術的範囲の変動リスク予測スキームの提案”, The Journal of Science Policy and Research Management, vol. 23, No. 2, pp. 150-162, 2008.4. 安彦元, 田中義敏, “定量的指標を用いた特許請求の範囲の記載分析と樹形モデルによる考察”, 技術と経済, No. 490, pp. 68-73, 2007.8. 田中義敏「ビジネス強化・成長のための知的財産の活用」, 日本知的財産協会, 知財管理Vol. 54-5, 555-566, 2004. Chuang, Yu-Cheng & Tanaka, Yoshitoshi, Research on a Technological Evaluation Method Applying Patented Invention for Strategic Technology Management, Portland International Center for Management of Engineering and Technology (PICMET) 2010 Proceeding, pp. 391-398, 2010.7. Nagatsuka, Hiroaki & Tanaka, Yoshitoshi, Research on Management of Patent Applications about Long Life-Cycle Electric Appliances, Portland International Center for Management of Engineering and Technology (PICMET) 2010 Proceeding, pp. 2218-2225, 2010.7. Kimura, Tsutomu & Tanaka, Yoshitoshi, Research on Evaluation Technique of Patented Invention Using both Technical Value and Economic Value, Portland International Center for Management of Engineering and Technology (PICMET) 2010 Proceeding, pp. 384-390, 2010.7. Higuchi, Takehito & Tanaka, Yoshitoshi, Perception Gap among Japan, Thailand, Vietnam and Philippine in Technology Transfer and Academic-Industrial Collaboration, Portland International Center for Management of Engineering and Technology (PICMET) 2010 Proceeding, pp. 545-550, 2010.7. Nakai, Yutaka & Tanaka, Yoshitoshi, Chinese Company’s IPR Strategy: How Huawei Technologies Succeeded in Dominating Overseas Market by Sideward-Crawl Crab Strategy, Portland International Center for Management of Engineering and Technology (PICMET) 2010 Proceeding, pp. 650-654, 2010.7. 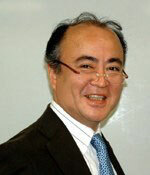 Tanaka, Yoshitoshi, “Research on the Factors How to Avoid Un-utilized Patents to Support Strengthening Technology Management”, Portland International Center for Management of Engineering and Technology (PICMET) 2010 Proceeding, pp. 2160-2168, 2010.7. Tanaka, Yoshitoshi, “Intellectual Property as a Key to Growth and Strengthening of the Enterprise”, International Conference on Managing Creativity and Innovation (ICMCI2009), Innovation Management, MACMILLAN, pp. 136-153, 2009.1. 奥田慶文, 橋本利雄, Muhammad Nasih Basyarahil, 山崎忠史, 田中義敏, 月刊発明THE INVENTION, vol. 109, no. 3, pp36-39, 2012.3. 佐藤嵩一郎, 仁戸田一之, 田中義敏, 「判例からみた日米における営業秘密保護」, 月刊発明THE INVENTION, vol. 109, no. 1, pp45-47, 2012.1. 田中義敏, 「知財見聞録: マレーシア編」, 月刊発明THE INVENTION, vol. 107, no. 10, p.36, 2010.10. 安彦元, 田中義敏, 中川秀敏, 「格成分数を利用した特許請求の範囲の限定度合解析とその戦略的応用」, 知財管理, Vol.59-12, 1595-1614, 2009.12. 田中義敏, 「知財見聞録: 韓国編」, 月刊発明THE INVENTION, vol. 106, no. 8, p.36, 2009.8. 田中義敏, 「知財見聞録: インドネシア編」, 月刊発明THE INVENTION, vol. 106, no. 5, p. 30, 2009.5. 田中義敏, 「知財見聞録: ベトナム編」, 月刊発明THE INVENTION, vol. 106, no. 2, p. 37, 2009.2. 田中義敏, 「知財見聞録: インドネシア編」, 月刊発明THE INVENTION, vol. 105, no. 12, p. 35, 2008.12. 田中義敏, 「知財見聞録: 韓国編」, 月刊発明THE INVENTION, vol. 105, no. 11, p. 31, 2008.11. 田中義敏, 「知財見聞録: タイ編」, 月刊発明THE INVENTION, vol. 105, no. 10, p. 30, 2008.10. 田中義敏, 「一言: 世界”を語れる日本人に変革を」, 生産性新聞, 2008.10.5. 田中義敏, 「タイ・ベトナム・フィリピンの産学連携の現状」, 独立行政法人科学技術振興機構 産学官連携ジャーナル, vol. 4, no. 2, pp. 19-21, 2008.2. 田中義敏, 「国際産学連携の推進にあたって」, アジア地域における国際的産学官連携シンポジウム, pp. 7-10, 2007. 田中義敏, 「統合化された知的資産マネジメント: 組織の知的資産を活用保護するためのガイドブック」, 月刊発明THE INVENTION, vol. 104, no. 12, pp. 28-29, 2007.12. 田中義敏, 「企業経営に連携する知的財産部門の構築」, 月刊発明THE INVENTION, vol. 104, no. 11, pp. 22-23, 2007.11. 田中義敏, 「イノベーションと生産性6: 知的財産活動の意義・役割と活動」, 生産性新聞, 2007.6. 田中義敏, 「日本の知的財産の現状と日中間の視点」, サーチナ中国白書: 中国知的財産権白書, pp. 97-113, 2006.6. 田中義敏, 「知的財産がつくる日本」, LANDFALL, vol. 56, pp. 8-12, 2006. 田中義敏, 「MOTと産学連携: 第1回　技術経営MOTの普及と本格的実践に向けて」, 産学官連携ジャーナル, 2006. 田中義敏, 「知的財産経営の成否を左右する「知財活動の部門間連携」(下)」, 日経BP知財Awareness CIPOフォーラム, http://cipo.jp/articles/20060809.html, 2006.8.9. 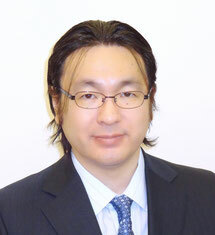 田中義敏, 「知的財産活動に関する企業内の部門間連携を調査研究(中)」, 日経BP知財Awareness CIPOフォーラム, http://cipo.jp/articles/20060804.html, 2006.8.4. 田中義敏, 「企業の「知的財産部門」の現状と課題: 経営と知財活動の「ドッキング」を実践するために(上)」, 日経BP知財Awareness CIPOフォーラム, http://cipo.jp/articles/20060801.html, 2006.8.1. 田中義敏, 「知的財産経営の成否を左右する「知財活動の部門間連携」(下)」, nikkei BP net, http://www.nikkeibp.co.jp/news/biz06q3/510506/, 2006.8.9. 田中義敏,「知的財産活動に関する企業内の部門間連携を調査研究(中)」, nikkei BP net, http://www.nikkeibp.co.jp/news/biz06q3/510173/, 2006.8.4. 田中義敏, 「企業の「知的財産部門」の現状と課題: 経営と知財活動の「ドッキング」を実践するために(上)」, nikkei BP net, http://www.nikkeibp.co.jp/news/biz06q3/509842/, 2006.8.1. 田中義敏, 「高い次元の欲求モデルを示すべき時」, SIMOT REC NEWSLETTER, 2006. 田中義敏, 「知的財産の壁に直面する中国(下): WTO対策としての知的財産保護ではなく、真に、知的財産権の制度目的を浸透させる活動へ」, 世界週報, No.87, pp. 36-37, 2006.2.